Coopra HR boilers from Dordrecht have developed their own stainless steel heat exchanger. This heat exchanger is made of high quality stainless steel parts and is patented by Coopra. 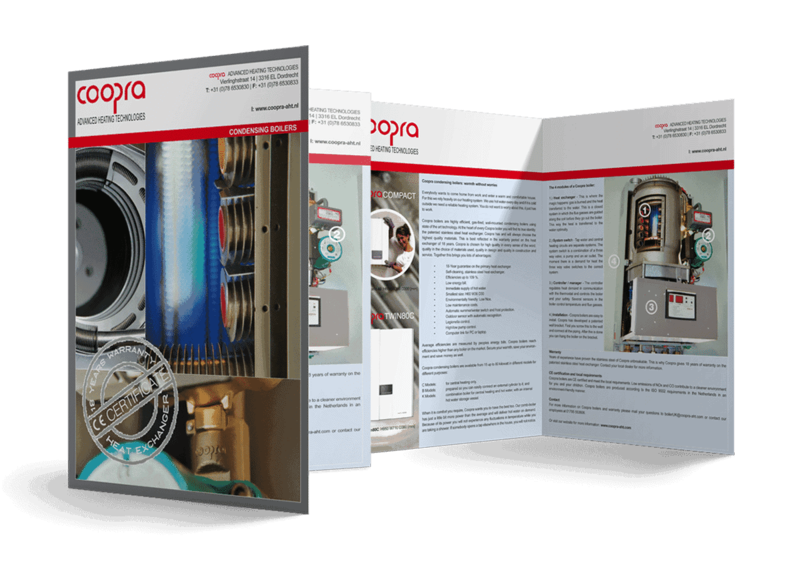 Coopra HR boilers are available from 15 to 80 kilowatts and are distinguished in quality and comfort. The assignment was to design a totally new Corporate Identity for Coopra, including a logo redesign. Among other things, gonzodesign is responsible for the design of the business cards, brochures, CD cases, stationery, flyers, etc. Also advertisements, various trade fair banners (220 × 50 cm) and a billboard (200 × 80 cm) have been designed and realized. 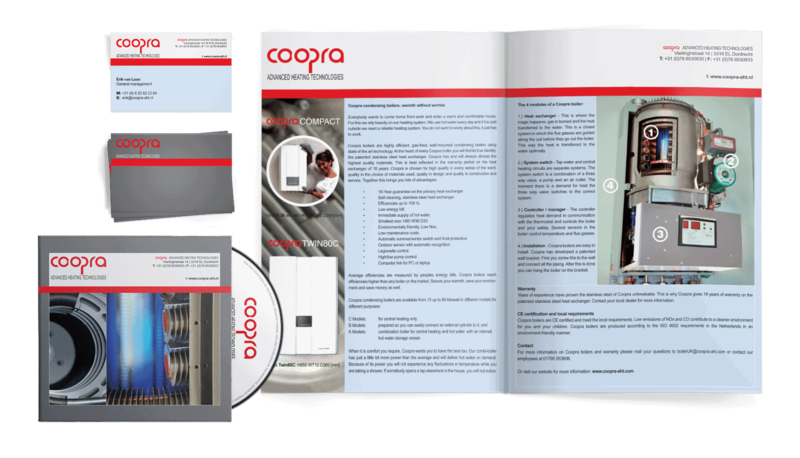 gonzodesign remains responsible for monitoring the corporate identity in all graphic designs for the Coopra.